Vought-Sikorsky Aircraft Division's OS2U Kingfisher was the U. S. Navy's primary ship-based, scout and observation airplane during World War II. Rex Beisel, a design engineer at Vought-Sikorsky Aircraft Company, crafted the OS2U in 1937. Beisel also designed the Vought F4U Corsair fighter (see NASM collection). 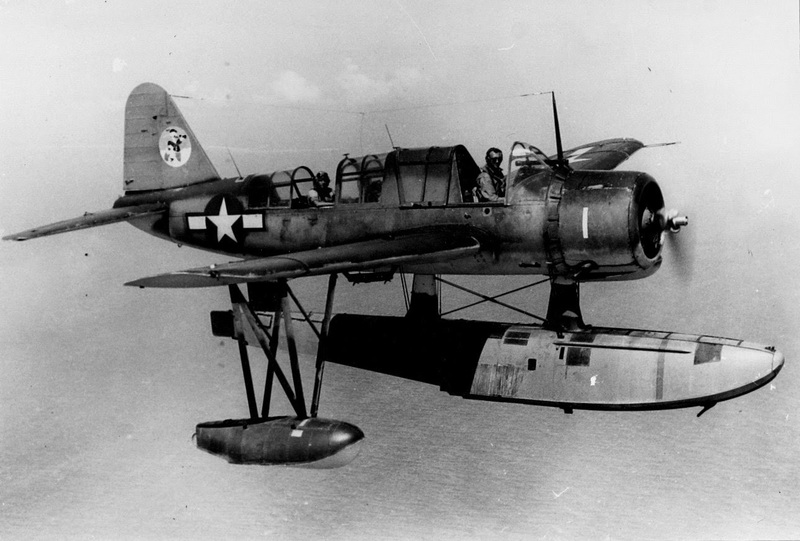 Beisel's Navy scout was a two-seat monoplane that employed revolutionary spot welding construction to create a smooth, non-buckling fuselage structure. He also used old technology to save weight and increase performance when he covered the wings with fabric aft of the main spar. The Kingfisher handled well in slow flight, thanks to several innovative control features. In addition to the deflector plate flaps that hung from the trailing edge of the wing, the ailerons also drooped at low airspeeds to function much like extra flaps. Beisel also incorporated spoilers to supplement aileron control at low speeds. The Kingfisher could carry a respectable load. For antisubmarine work, ordnance men could suspend two 45 kg (100 lb) bombs or two 146 kg (325 lb) depth charges. A fixed .30 caliber machine gun was mounted in front of the pilot to fire forward. A gunner seated several feet behind the pilot fired another .30 caliber machine gun on a flexible mount. The Navy contracted for the prototype XOS2U-1 on March 22, 1937, and this airplane first flew in July 1938, equipped with an air-cooled Pratt & Whitney R-985-4 Wasp Junior radial engine. The first production Kingfisher, the OS2U-1, was delivered early in 1940 and assigned to the battleship "USS Colorado." Fifty-four OS2U-1s soon followed. 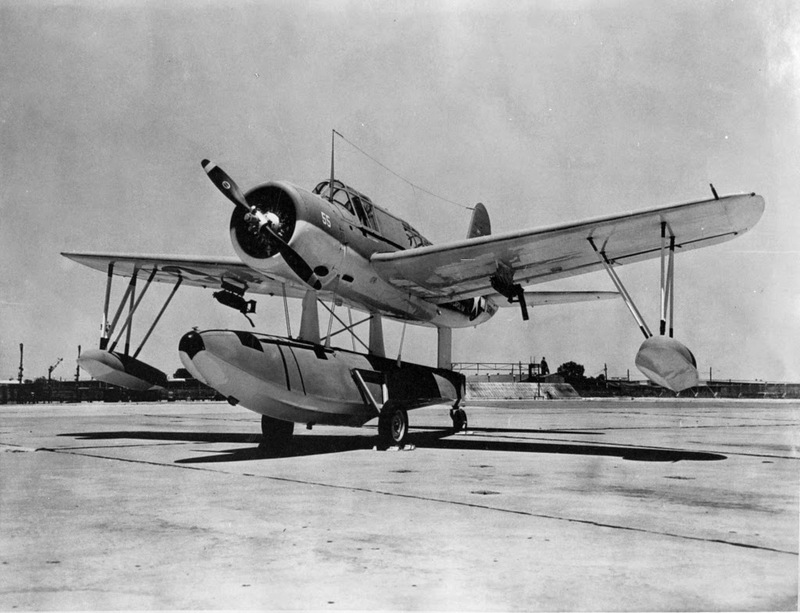 By early 1941, Vought had built 159 OS2U-2s and the Navy had stationed these airplanes at Naval Air Stations in Pensacola, Florida, Pearl Harbor, Hawaii, and Alameda, California. The next version, the OS2U-3, was fitted with a Pratt & Whitney R-985-AN-2 or -8 engine. This aircraft had more fuel capacity in self-sealing fuel tanks and armor protection for the crew. This was the last production model and Vought built more of them than any other variant. 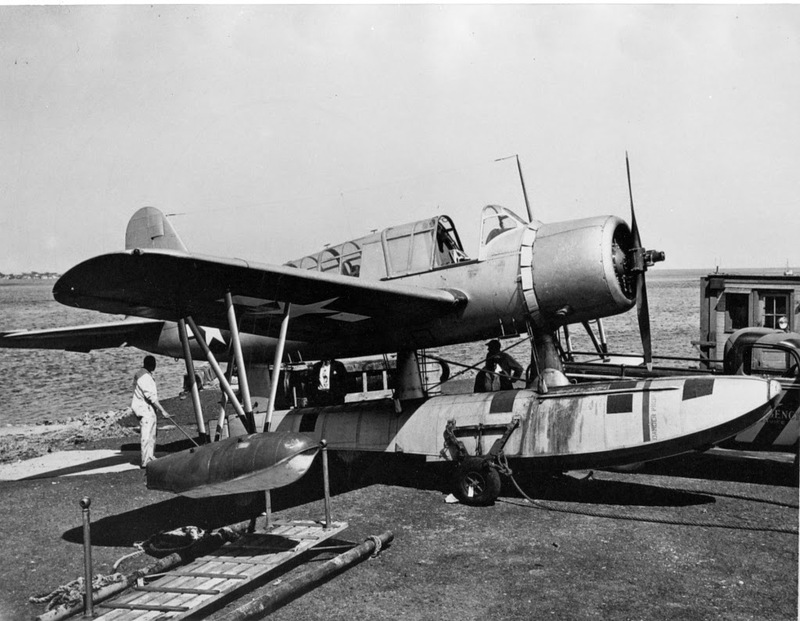 The Naval Aircraft Factory outside Philadelphia, Pennsylvania, also manufactured the Kingfisher under the designation OS2N-1. All production ended in 1942. 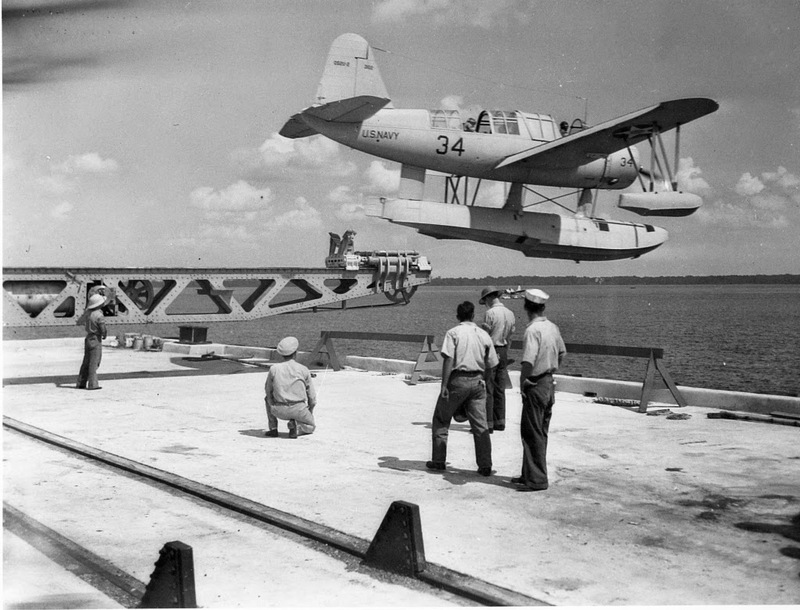 Under the Lend-Lease program, the United States sent many Kingfishers to Great Britain where they served in the Royal Navy as the Kingfisher I. Other countries received Kingfishers both during and after the war including Australia, the Soviet Union, Uruguay, Chile, Mexico, the Dominican Republic and Cuba. 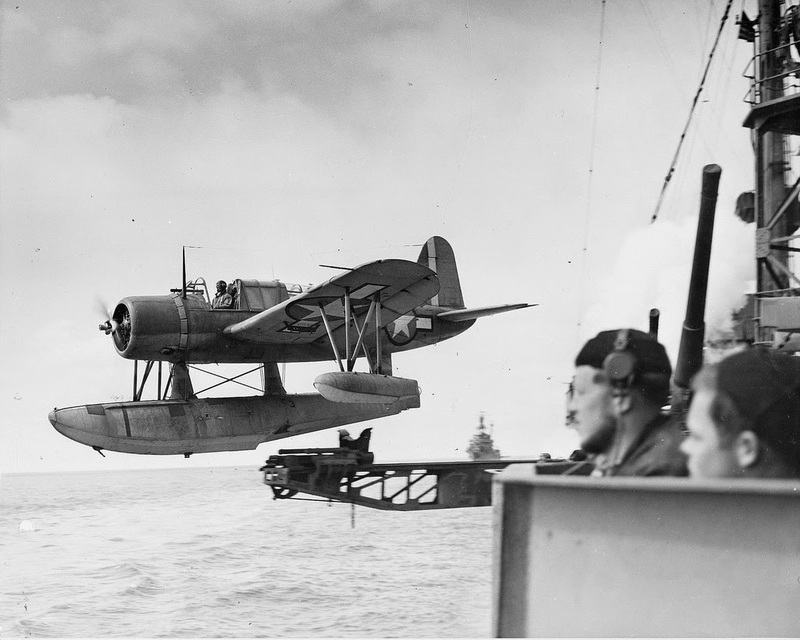 The Kingfisher could perform a variety of tasks - training, scouting, bombing, tactical and utility missions such as towing aerial gunnery targets and chasing practice torpedoes, and even anti-submarine warfare in the Atlantic Ocean. Most OS2Us operated in the Pacific Theater where Kingfisher pilots rescued many downed airmen. In 1942, a Navy pilot flying a Kingfisher rescued America's World War I ace, Capt. Eddie Rickenbacker, and the crew of a B-17D Flying Fortress (see NASM collection) forced to ditch in the Pacific. With Rickenbacker and two other passengers, the bomber and its five-man crew had left Hickam Field, Hawaii, bound for Canton Island in the Phoenix Islands group, 2,898 km (1,800 miles) southwest of Hawaii. The Flying Fortress wandered off course and the crew got lost. When the aircraft eventually ran out of fuel and ditched, the eight survivors put to sea aboard three life rafts. Several weeks passed without food or water. By chance, a Kingfisher crewed by Lt. Willam F. Eadie, pilot, and L.H. Boutte, radioman, spotted the raft carrying Rickenbacker and two other crewmen. Eadie strapped the sickest man into the gunner's seat, and then he lashed Rickenbacker and another man to each wing. A Kingfisher could never take off with such a load, so Eadie began to taxi toward his base on Funafuti Island, about 64.4 km (40 miles) distant. Soon a Navy Patrol Torpedo boat met the airplane and the other five men were soon rescued. Only one of the eight failed to recover from the long ordeal. The U.S. Navy accepted the museum's Kingfisher, OS2U-3 (Bureau of Aeronautics serial number 5909), on March 15, 1942. In April it left Naval Air Station (NAS), New York and arrived at NAS Norfolk. The following month, it was assigned to the recently commissioned battleship "USS Indiana." 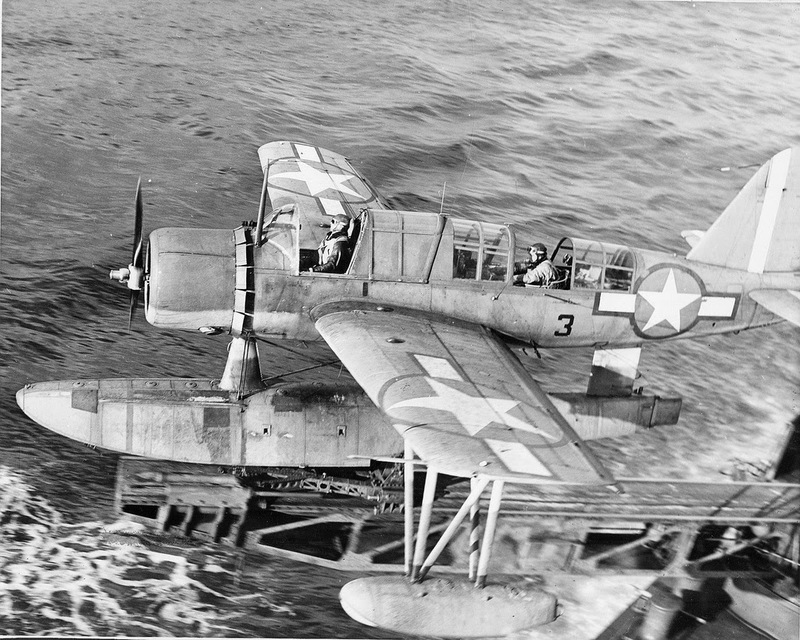 After the Indiana arrived in the Pacific, Navy pilots flying this OS2U performed a variety of missions including bombing, utility, and administrative chores at many locations. In December 1942, Navy planners assigned the airplane to the Com F Air scouting squadron VS-5-D-14 (later designated VS-55) at White Poppy, a codename for New Caledonia. 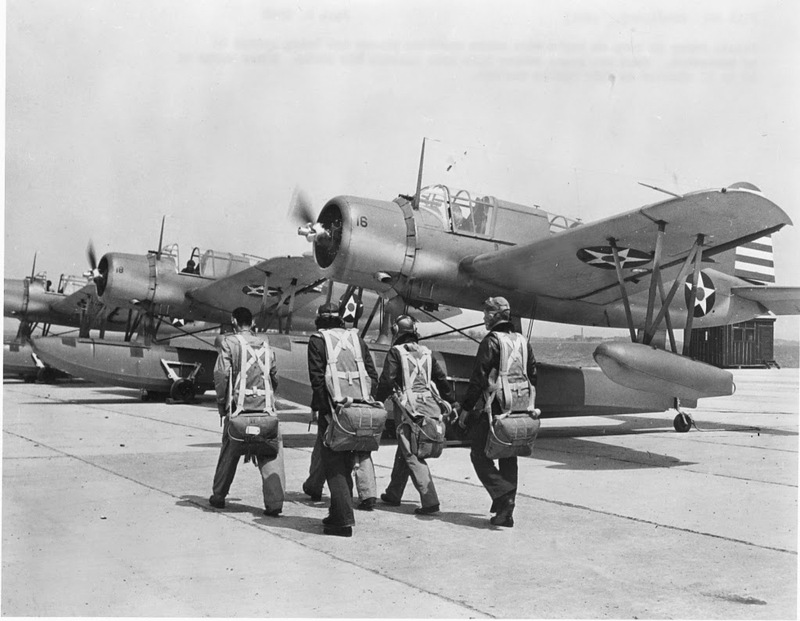 Following a six-month stay in the fall of 1943 at NAS Alameda, California, for overhaul, and to receive new combat equipment, the aircraft was shipped to Pearl Harbor and rejoined the "Indiana" in March 1944. This Kingfisher had now flown for 957 hours, 300 of them aboard the "Indiana." On July 4, 1944, "Indiana" was underway near Rota and Guam to support naval air strikes on those two islands. Lt. jg. Rollin M. Batten, Jr., was flying the NASM OS2U-3 when he was vectored to rescue two U. S. airmen shot down over Guam. Accompanying Batten was Lt. jg. Jensen. Ignoring the fire from nearby Japanese gun batteries, Batten picked both men up and returned them to the "Indiana." This rescue earned Batten the Navy Cross. 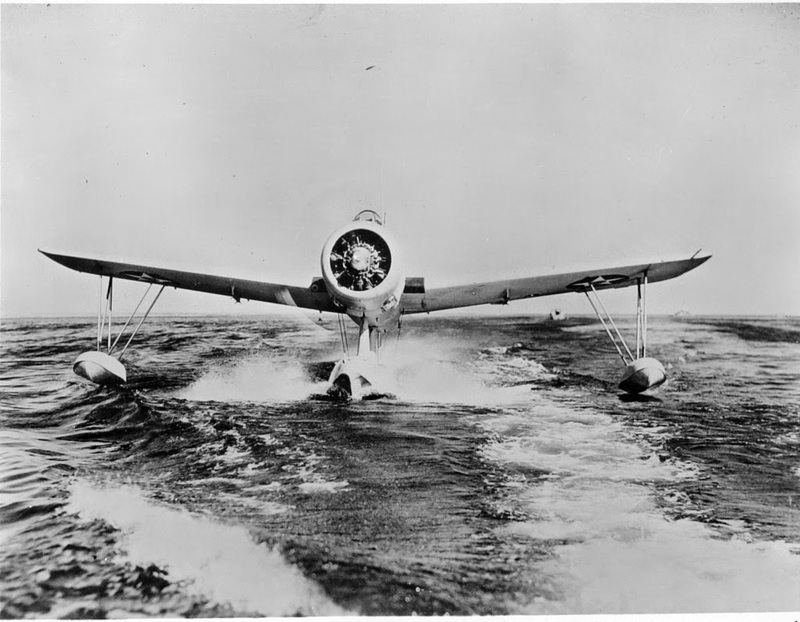 The award citation reads, in part, "With utter disregard for his own safety, he fearlessly brought his plane down within a mile of many shore batteries, and, in the face of an intense barrage directed at him by the enemy guns, proceeded calmly and deliberately to rescue a downed pilot and his crewman who were swimming in the water and also under enemy gunfire. His intelligent and courageous appraisal of the situation was responsible for the successful rescue, after which he took off cross-wind with the additional load, under extremely difficult circumstances." By August, this Kingfisher was flying in the Carrier Aircraft Service Unit-34, or CASU-34. This was its last Pacific assignment and the Navy shipped it to NAF Alameda aboard the USS "Bougainville" in December 1944. 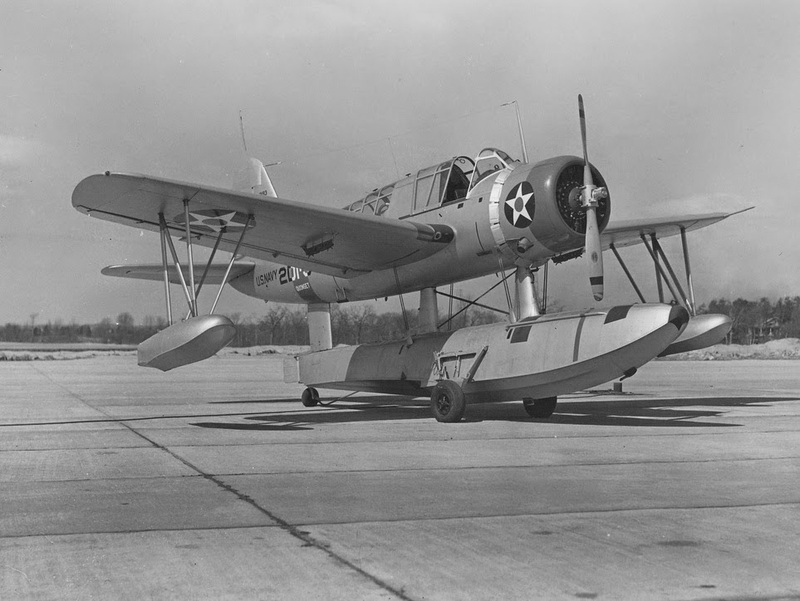 After six months at Alameda, the Navy shipped the floatplane back to NAS Norfolk. It flew very little and underwent a variety of overhauls and inspections before Navy personnel finally processed the airplane for storage in the spring of 1947. A year later, Kingfisher 5909 was earmarked for the National Air Museum (NAM, now NASM, the National Air and Space Museum). It was prepared for "flyaway to NAS Weeksville (Elizabeth City, North Carolina) for storage until such time as called for by the proposed NAM." However, in January 1949, it returned to NAS Norfolk and remained stored there until the summer of 1960.